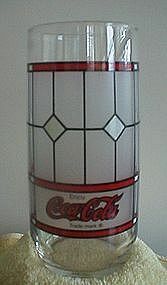 Coca Cola Stained Glass tumbler in great condition. From McDonald's comes this Garfield and Odie Glass Mug, good condition. 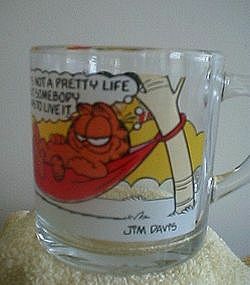 "It's not a pretty life, but somebody has to live it" says Garfield to Odie. From McDonalds comes this Batman Forever Series Glass, The Riddler, great condition. 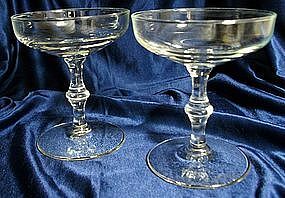 Libbey Rock Sharp Crystal Stemware in Georgian Pattern, 2 Champagne/Sherbets. Start your collection off with easy to find stemware! 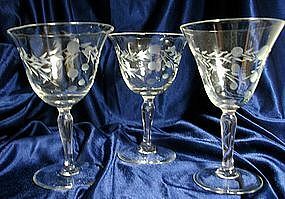 From Pioneer, Japan, crystal Stemware in Willow Moon Pattern. These are very easy to find on the web, start looking for your collection today! 2-4 1/4" liquor cocktails and 1-4 1/2" liquor cocktail, nice condition. National Beer Premium Pilsner Glass, 2 flea bites on rim, some fading of the logo. Add this guy to your collection! 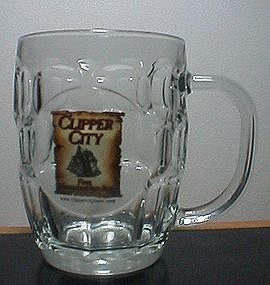 Clipper City Fine Handcrafted Ale mugs, made by Luminarc. Holds around 20 ounces of your favorite brew. 5" tall and weighs over a pound! Nice condition. 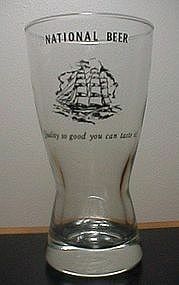 National Beer Pilsner Glasses from Libbey. Holds about 10 ounces, nice condition. 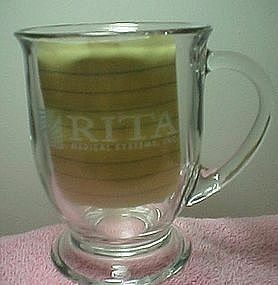 Advertising glass coffee mug from RITA Medical Systems, a cancer research facility. 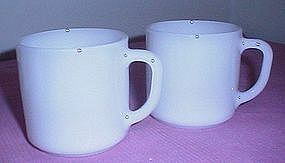 Mug made by Anchor Hocking. Holds about 9 ounces for your favorite hot beverage. Nice condition, 4 7/8" tall and heavy! 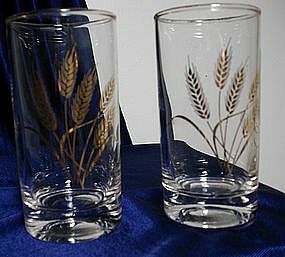 From Anchor Hocking, these tumblers have a very thick bottom and are 4" juice size, gold wheat design with gold rim trim. 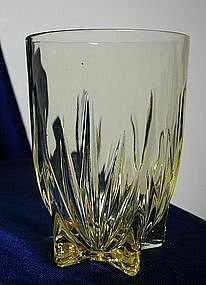 Federal Glass Amber Star Pattern Glass Tumbler, 8 oz flat. Nice condition, 3 7/8" hi. 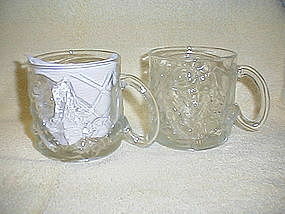 Hazel Atlas/Continental Can Co Eldorado Tumblers. 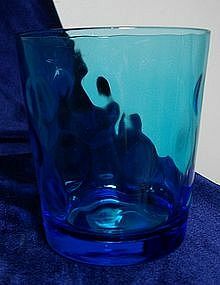 I have 4 of these, two in green, one of which is a tall tumbler, the other the short tumbler, 2 short tumbers in capri blue and amber. Nice conditon! 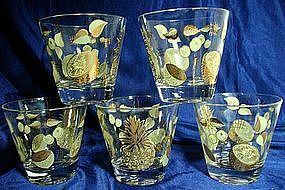 These glasses are signed Wm A. Meier, decorated with various fruit decals, heavy bottom and stand 3 3/8" tall by 3 5/8" diameter. The yellow fruit is enhanced with gold, very nice. 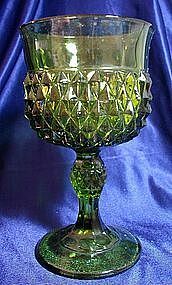 Dark Green color Indiana Diamond Point 5 1/4" wine glass, in nice condition. 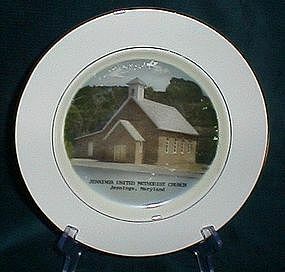 Indiana Glass Mt. 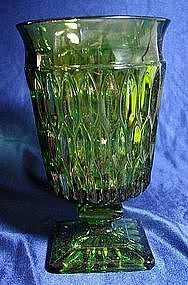 Vernon 6" water goblet, nice condition, dark green color. 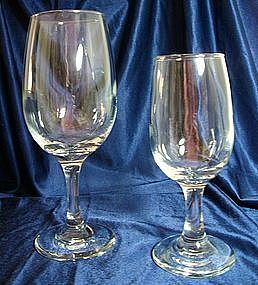 Libbey Rock Sharp Crystal Stemware Tulip Shape Embassy pattern. Great condition.